At Blue Jays Netball Club we are here for our players in providing a safe environment which leads to building skill development, court knowledge, teamwork and enjoyment of the game. We aim to be positive role models for all players involved in our sport. As a club, we recognise how crucial a coach is and therefore provide support and training to assist our coaches in becoming the best mentors they can be. We greatly appreciate the voluntary time and effort our coaches put into training and mentoring our netball players! The role of a coach also comes with responsibilities including abiding by the Club's Code of Conduct and ensuring legal checks and requirements are undertaken to enable the person to work with children. Please don't hesitate to contact us if you're interested in becoming a Blue Jays coach! It is recommended that all Blue Jays club coaches gain the minimum Foundation coaching course qualification. The course is completed online through the mynetball website - online learning tab! Course cost $50 and is reimburse by the club once completed. If you are interested in gaining a higher level of coaching accreditation you can then progress through the Netball Australia coaching pathway. 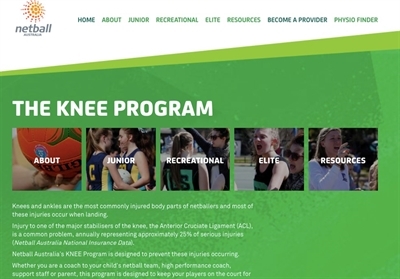 The Netball Australia's KNEE program is designed to prevent knee & ankle injuries from occurring when landing. The Junior Program is a complete warm up for junior netballers in keeping them on court for longer and to move more efficiently. Click link to open form. All Blue coaches are required to have a Blue Care Card when working with children. The purpose of the blue card system is to promote safety for children and young people in environments where they are required to be and those that promote their physical, social and cultural development (such as sporting or community groups). What is a blue card? Blue cards are issued by the Commission for Children and Young People and Child Guardian once it has carried out the blue card check to see if a person is eligible to work in the areas of child-related work covered by the Commission’s Act. If a person is eligible, they are issued a positive notice letter and a blue card. 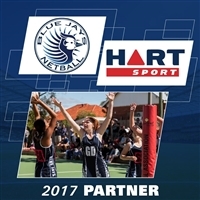 HART Sport are a 100% Australian owned company. Founded in 1992, HART Sport is a unique catalogue retailer recognised for choice, value and convenience. HART Sport provide all types of sporting, active play and recreational equipment as well as teamwear. HART Sport manufacture many products in their own factory in Brisbane.